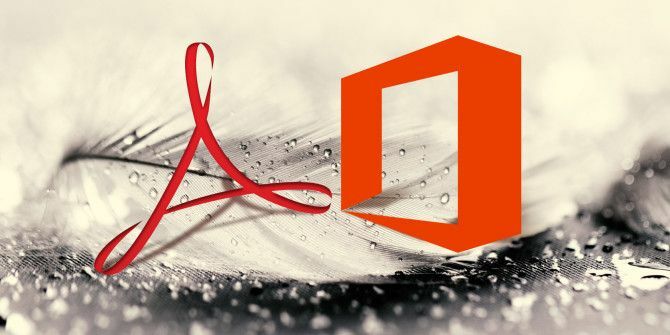 Microsoft Office and Adobe Reader are two of the most popular and well-known programs, supporting equally common file formats. But when you don’t have or don’t want to use these programs, what should you turn to instead? There are a number of great light alternatives out there for viewing Office and PDF files. You don’t need to clog your system down with unnecessary bulk; instead, check out these small and quick offerings from elsewhere. Be sure to head to the comment section afterwards to let us know how you recommend viewing Office and PDF files without using the usual programs. Office files are completely ubiquitous. They’re used everywhere, from work to school, and it’s expected that you have a way to open them on your computer. Those who don’t actually run Office may find that troublesome, however. Here are our favourite ways to open Office files without the suite. 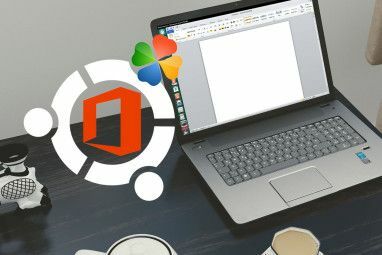 Office Viewer is one of the best because it comes straight from Microsoft and allows for Office viewing without being connected to the Internet. Available for Word, Excel, and PowerPoint, these completely free pieces of software will allow you to view and print your desired format without having Office installed, although you won’t be able to edit anything. The Word Viewer in particular supports a range of different file formats, like .doc, .docx and .rtf. Development on the Viewers has stopped now, simply because Microsoft now offers other ways of viewing Office files, but they’re still great choices for offline viewing. Office Online is entirely browser based and supports Word, Excel, PowerPoint and OneNote. Files can be created, opened and edited all within the comfort of your browser. In fact, it can also handle PDF files. While not as feature rich as the actual programs themselves, Office Online is an incredibly good alternative considering it’s free. You can even collaborate on files live with others. Plus, it’s all tied into Microsoft’s ecosystem, meaning you can open files straight from other services like Outlook and OneDrive. If you’re more of a Google person 4 Surprising Ways Google Will Soon Impact Your Life 4 Surprising Ways Google Will Soon Impact Your Life We won't be seeing interstellar spaceships and time travel machines any time soon, but here are a few Google projects that are going to change the way you live within the next few years. Read More , have no fear because Google Drive is here. 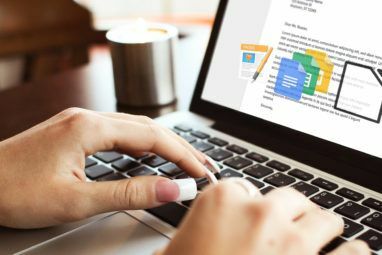 Google offer their own online services called Docs, Sheets and Slides – Word, Excel and PowerPoint respectively. Much like Office Online, you can open and edit Office files straight from your browser. It also supports PDF, as an added bonus! If you have an Office file on your computer, then you can just upload this to Drive. You can view it speedily, but if you want to make changes then you can just as easily do that. The great thing is you can even save it again in the original format, forgoing the need to use anything Office related entirely. PDF saw the light of day in 1993 and the format is still going strong, used to display documents across all systems. Designed by Adobe, the format became an open standard in 2008. Although Adobe Reader is the most commonly used method for viewing PDFs, it isn’t the only way. We’ve listed our favourite Adobe Reader alternatives 4 Very Light Alternatives to Adobe Reader 4 Very Light Alternatives to Adobe Reader Are you still using Adobe Reader for PDF documents? It's time to move on to an alternative PDF reader that is lightweight, launches quickly, and yet keeps your documents save. Read More in the past and these three are some of the best modern methods. The three most popular browsers Which Browser Is Best? Edge vs. Chrome vs. Opera vs. Firefox Which Browser Is Best? Edge vs. Chrome vs. Opera vs. Firefox The browser you're using right now may not be the best one for you. The browser arena changes so frequently that your conclusions from comparisons made last year may be completely wrong this year. Read More all have built-in support for viewing PDFs. This means that you don’t even have to download the file or install any additional software for checking out any PDFs you come across. In fact, the PDF doesn’t need to be online to be viewed within the browser. If it’s saved to your computer, you can still view it just fine. Just right click the file, select Open with and then choose your browser (click Choose default program… if you always want PDFs to open this way). PDF plugins do exist on the various extension stores, but these were intended for earlier versions of the browser. With PDF support built right into the browser, using these could cause compatibility issues, so be sure to disable them if you’ve got one in use. Have you ever found Adobe Reader to be sluggish? It’s undoubtedly a bloated program, which is why Sumatra PDF is a much better choice. At less than 5MB, this program cuts out the unnecessary features and provides a simple and quick PDF viewing experience. You can still search within the file, zoom and print – it’s even capable of viewing some eBook and comic book formats 4 Android Apps For Reading Your PDF Comic Book Collection 4 Android Apps For Reading Your PDF Comic Book Collection Do you have comics saved in PDF format, or are you just looking for a good comic book reader? Check out these amazing Android apps. Read More . It’s entirely free and also comes in a portable version that doesn’t write to the registry, perfect for use on a USB stick. While not quite as lightweight as Sumatra PDF, Foxit Reader is still a small and speedy program that is suitable for those looking for a bit more action in a PDF reader. It’s equally as free, but also comes with a more advanced set of features. Customisable multi page displays and the ability to have your PDF read aloud using text-to-speech Free Up Your Hands With Speech-to-Text on Android Free Up Your Hands With Speech-to-Text on Android Why bother with slowly typing on your text messages if you could just dictate them? Read More are just some of the extra features on offer here. But even if you don’t make use of them, Foxit Reader is still a great choice for viewing PDFs. It’s small, quick and has a modern Office-style interface How To Tweak The Windows And Office Ribbon Menu How To Tweak The Windows And Office Ribbon Menu That pesky Ribbon Menu. Ever since its introduction in Office 2007, I’ve been struggling to come to terms with it. I much preferred the Office 2000/2003 method of “hiding” tools that you don’t use often... Read More . These are some of our favourite programs and methods for viewing Office and PDF files without having the full suite or Adobe Reader. If you don’t need all the fancy features or don’t want bulky programs, then these offerings will serve you just as well, if not better. What method do you use to open Office and PDF files? Have we missed out a light and speedy program from this list? Explore more about: Adobe Reader, Google Drive, Microsoft Office Online, PDF. Oh my god, Sumatra is just what I've been looking for: just a reader. Super light. a foxit user for years,i just discovered sumatra!thank you! Your article saved my life. I have not known Sumatra PDF before. Thank you very much. Libre Office and Google Docs. According to my personal experience , Kingsoft Office Suite Free and Foxit Reader work very nice. Office Starter 2010 should have been mentioned in this article! A stripped down version of Word and Excel 2010 (with ad little advertisement bar advertising for other Microsoft products, but for me that's not annoying) that is fully compatible with Word and Excel documents. And there is a torrent circulating with all installer files for all languages. I agree that as a PDF solution Sumatra PDF works really well, when used for just viewing. It does not contain editing capabilities. Preview on OS X is much more user friendly and less resource hungry than Adobe Reader. As a power user, I still use MS Office an Adobe Reader. I've been using PDFlite, which is a free open-source PDF reader for more than 6 months now and its far more better at opening PDF files and also CHM (MS Help) files. pdflite is nothing but a ripoff of sumatra pdf. they literally take sumatra's source code, tweak a couple things, and slap their branding on it. I use Google Drive/Docs - improving daily - and Foxit Reader. Softmaker FreeOffice + PDF-Xchange Editor. Can sunatra edit pdf forms? Coz i remember it couldn't, which lead me to reinstalling adobe acrobat reader. I think that's because the title should have been something more like "6 Light Alternative Programs that can Open Microsoft Office and PDF Files"... Bad wording in the original title. Personally, I'm wondering why they didn't list OpenOffice or LibreOffice as an alternative to Microsoft Office. Sorry for any confusion! You're right, this article isn't about Open Office, but rather 'open' with a lower-case 'o'! I've been using Sumatra PDF for some time at work once they blocked Chrome from opening PDF files. Why did your work block Chrome from opening PDFs? Was there a security vulnerability? I can't say for sure since I'm not in the department making the decision but I first noticed it when I couldn't upload some file types in Chrome and I could in IE. Same thing happens when trying to view PDF files too. Strange but I guess they have a reason for it. I have been using PDF-XChange Viewer for years and it meets my every need. I've used Foxit for quite a few years. The commenting features allow me to quickly add relevant information to scanned receipts and bills to document expenses.